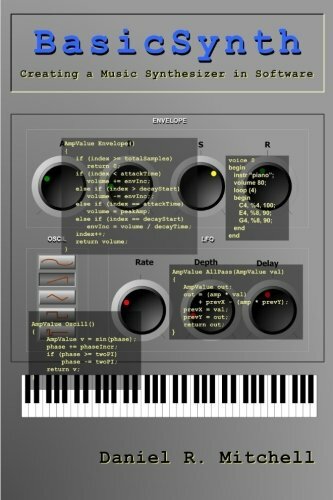 VST Plugin Labs – news, announcements and reviews on software, hardware, virtual instruments and effects for digital musicians and composers who love to make music on computers! Thank you for stopping by my new web site for people like you and me who love technology and enjoy making music on computers! My name is Mike Liebner and I am a musician and computer geek and proud of it! I love to create new music and sounds on my computer and I have been using digital and midi recording software on computers for a long time. In fact, long before I started using Windows PC’s and Apple Macs and iPads and such, I first started creating my own music with computers using an Atari which used to be the standard for computers and midi back in the day! Technology has come a long way since then. We now have the ability to create music and record our sounds on our home computers, laptops or even tablets achieving the highest quality without being burdened by the need to have a room full of hardware and recording gear. Technology for musicians just keeps on getting better making it easier to make music and get it out o the world! Creating new music and sounds has never been easier and more fun thanks in great part to Virtual Studio Technology from Steinberg (makers of Cubase) who created VST Instruments and Effects. My life totally changed when I first discovered and started using Cubase and it’s VST Instruments and Effects. A whole world of possibilities opened up and creating music and sound on my computers has never been the same since! I am so glad to be liberated of that big bulky equipment which I have in storage. I just don’t need it thanks to VST Instruments and Effects which I use in my DAW (Digital Audio Workstation) in place of synthesizer keyboards and racks and reverb and fx units. VST Plugin Labs is the website to help computer musicians and composers like us discover all kinds of great audio software and music making plugins! I’ll be your guide to find the best music software of all types with a focus on FREE and PREMIUM VIRTUAL PLUGINS of all types. The goal is to help you discover new software and quickly and easily see what the software or plugin is about. There is a lot of old stuff available with many new instruments and effects being released all the time. We need to quickly decide whether we want to purchase or download the software for free and install on our computers. VST Plugin Labs will help! I’m looking forward to a lot of great discoveries and hope with your help this site will feature the best music software and VST Plugins – both free and for purchase that are available for musicians and composers like us! Thanks for stopping by – I hope you will bookmark the site and also help spread the word to your friends and other musicians and composers! More information on what we are doing here at VST Plugin Labs.